Right now director Julie Taymor is making more headlines for Spiderman: Turn off the Dark on Broadway – meanwhile her latest film: The Tempest is finally in theaters nationwide. Though, it seems, in very few theaters, so good luck seeing it on the big screen. Our nearest screen is about 30 minutes away in downtown Bethesda, MD – hopeully we will all get to see it before we have to wait for the DVD release! Two videos from the actors’ perspectives circulating the internet catch my attention. In this first video, Helen Mirren (playing Prospera), Djimon Hounsou (Caliban) and Russell Brand (Trinculo) speak about being in this visually stunning film. Dame Mirren mentions that her first experience with Shakespeare: performing a scene with her class! Many educators tell us that they use film as a teaching tool for Shakespeare, so if you’ve already had a chance to see this film – tell us what you think! As a Shakespeare enthusiast or with your Educator’s hat on: how can this film be used to teach The Tempest or examples of Shakespeare’s text? If you haven’t seen the film, do you plan to? Does anything grab your interest from above? What plays for a webinar? 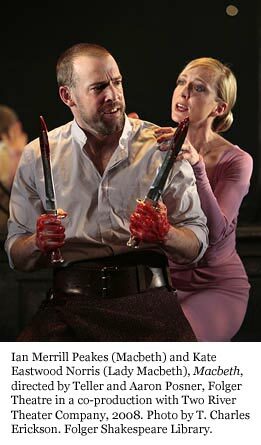 Our recent webinar on Macbeth drew an overwhelming response from teachers across the country and around the world. Within two and-a-half hours of posting the notice for it, all 150 available seats had been filled. Another 245 teachers tried to register for the session. Unfortunately, on the night of the webinar, only 73 of the 150 who signed up actually tuned in. We’re not exactly sure why. Perhaps because it was free, people thought it was okay to sign up, just in case. At any rate, we felt badly because many more teachers could have attended. Maybe we should charge a small, non-refundable fee, to secure a place. That way, only those who are really going to attend will register. What do you think? Thank you to everyone who registered for our Macbeth Set Free Webinar on December 7th! Below is a link for the archived webinar. Please note that the informational portion of the webinar begins at timestamp 23:30 – everything before that is mic-check, and video and audio troubleshooting by our webinar hosts. Once the recording begins, please click the pause button at the bottom of the screen, drag the time stamp to 23:30, wait for it to cue up, then press play. It may take a minute or two to fast-forward. Please click the link below, or copy and paste it into your browser; then login as a Guest using your email address and your full name. Java is required to view this recording. At the end of the presentations there is a link to displayed to a Survey for participants. Please do fill this survey out! This will tell us what you want to see from us, and how we can better support you as an educator! This will also be available through our BardNotes newsletter in January. If you’re not already registered for BardNotes, please visit www.folger.edu/enews. We plan to offer more webinars on the plays. Which ones would you like to see offered? ‘Tis the season to be thinking about presents! I’ve fielded calls from a couple of parents and teachers searching for recommendations of Shakespeare resources and items for students or friends. In case you’re wondering, too, or have recommendations for ME, read on! I get a lot of questions during the school year from parents and teachers who want an audio recording for their aural learning students to read along with. Arkangel Audio has done a complete series of fully dramatized Shakespeare plays with the voice talents of Royal Shakespeare Company actors. At our webinar last week I learned about Speak the Speech, an independant site which currently has 7 audio plays available for free. Finally, using Audacity or another recording and editing program, you and your students can make your OWN audio plays! How do you start kids off with Shakespeare? 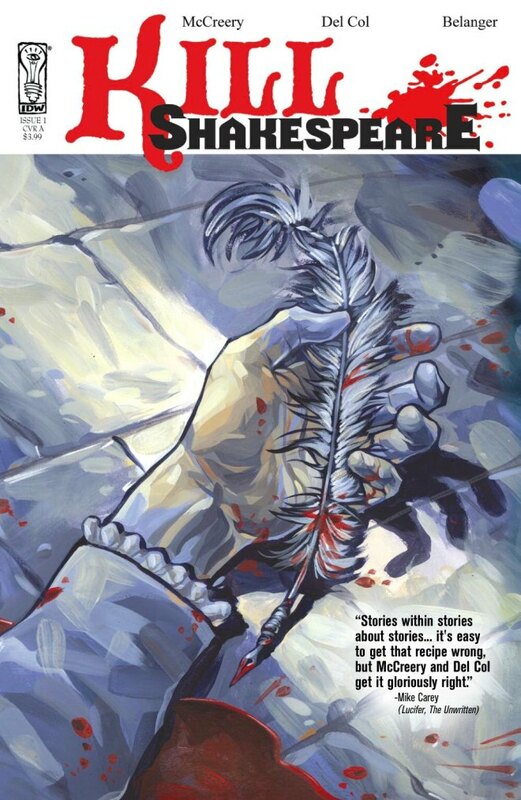 We’ve found some excellent books about Shakespeare and his plays which we provide for SSO classrooms: Tales from Shakespeare and Shakespeare’s Stories are wonderful first-reads to get acquainted with the plots of the plays, and both use lines from the text as dialogue. Lucretia discovered a really cool book of folk tales that found their way into Shakespeare’s plays (maybe because he heard them growing up! ): Shakespeare’s Storybook. 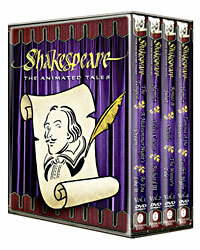 I will always recommend Shakespeare: The Animated Tales – 25-minute cartoon versions of 12 plays – because I watched them when I was eight and still love them enough to watch them on my iPod! In this era of Twilight and Harry Potter obsession, I feel confident in saying today’s teens still read. But are they reading Shakespeare? If they’re resistant, a good novel like The Third Witch or graphic novel like Kill Shakespeare might get them in the mood to try Macbeth or Hamlet. If they’re having trouble with a whole play, the 30-minute Shakespeare series by Nick Newlin cuts around the interesting bits of plot for student productions. If they’ve already “drunk the Shakespeare kool-aid” as Niki says, they might find interest in a copy of a play they haven’t read yet (Pericles? Henry VIII? Cymbeline?) or a complete collection of sonnets and poems. What do you get the nerd who has everything? A tee shirt that says “I Hearteth the Bard-eth”? Perhaps tickets to a local performance of Comedy of Errors, or a beautifully illustrated edition of Hamlet are more their speed. You could also help them find the nearest movie theatre playing The Tempest! You might already have every volume of Shakespeare Set Free and our Teaching Shakespeare Toolkit – so what’s on your wishlist? During the Folger’s recent Webinar on Teaching Macbeth, a teacher asked us, “Is it important to get students to memorize Shakespeare?” This is a question that often comes up, and memorization is often cited as a task that teachers use in their teaching. I have an answer for this, but first let me give you some background. 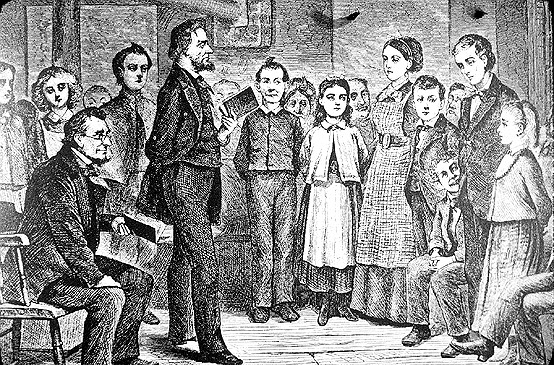 From then until the Civil War, literacy was the ability to read and write, with an emphasis on penmanship. Remember those extraordinary letters that soldiers wrote during the Civil War in Ken Burns’ documentary. Some of you may have even learned the Palmer Method of handwriting (I am still the proud owner of a Palmer pin that I won for achieving some level of mastery). But the days of teaching “proper” handwriting are long gone. When I first heard Kylene Beers speak of this, I had an epiphany. My father, the son of Italian immigrants, never finished high school. But I recall his ability to recite some random poems at random times. My favorite was “Casey at the Bat,” but I seem to remember his reciting passages from “Charge of the Light Brigade” and “The Raven,” as well as some other I can’t recall. I never got to ask him where he learned them and why he learned them, but clearly he was a product of a NYC school system that valued Recitational Literacy. So that brings us back to the question of memorizing Shakespeare. If your goal is simply to have students stand at your desk and “privately” recite their sonnet or soliloquy to you so that you can put a check in your grade book, I say STOP doing it. As previously stated, this methodology ended around 1920, yet so many teachers persist in doing it. Here’s why: Their teachers did it because their teachers did it because… I even started doing it in my early years in the classroom for the same reason. Although I hated doing it in elementary and high school, I figured it was just something I was supposed to do. No one ever told me that I shouldn’t so I did it. But soon I realized that it seemed like a waste of time–both mine and my students’, so I stopped. It was only when I heard Beers speak that I felt justified in my decision. So if you have similar feeling, you have my permission to cease and desist immediately. The Folger approach to teaching Shakespeare is to conclude a unit with a performance–whether it be in class or on a stage with other classes or on a stage at a Festival. When you get to this point in your unit, memorization of one’s lines is essential. But the difference is that the student is moving on the lines, thinking about what they mean, and engaging with other actors when saying the lines. This is very different from standing next to the teacher’s desk. In between #1 and #2 is memorization for a purpose–that purpose being a competition. Each year, the English-Speaking Union sponsors a National Shakespeare Competition in NYC. Here’s what the ESU says about its program: “16,000 students and 2,000 teachers from 60 ESU Branches participate in a curriculum-based program designed to help high school students develop their communications skills and appreciation of language and literature, through the study, interpretation and performance of Shakespeare’s monologues and sonnets. Students participate in three qualifying stages at the school, Branch and national levels. The English-Speaking Union National Shakespeare Competition first place winner will receive the ESU’s Amanda Steele Scholarship for summer study at the Royal Academy of Dramatic Art in London.” So if your goal is to have students develop their communication skills in front of an audience, I would encourage you to find a Branch near you and enter the competition. I’m sure some teachers disagree with me, and I’d love to hear from them. So please add your comments, and I’ll be sure to respond. Many elementary educators have inquired about a kid friendly movie version of Shakespeare’s plays to show their students. The hope is that by exposing them to a movie version in lieu of the limited accessibility of a stage production, they can grasp the language more quickly by hearing and seeing it performed by professionals. One may certainly opt for screening a number of Hollywood or BBC produced movies with students (with a pre-screening by the teacher of course for appropriateness). You may also opt for the BBC’s animated tales, which does use the language but is notably large on narration. 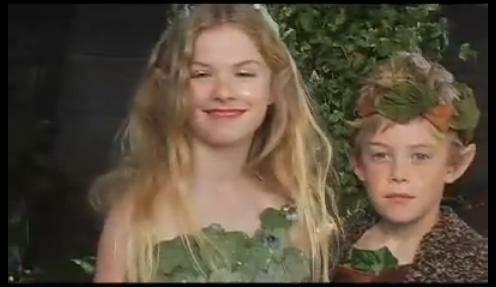 However, we’ve found an abridged version of A Midsummer Night’s Dream produced with non-professional 3rd grade actors, but with very high production value. Most of the children are convincing actors and the narrator is played by actress Valerie Mahaffey. Mahaffey has a notable career as a television, film and Broadway actress. And her husband is Joseph Kell, a professional actor and director and the cinematographer for the DVD. The movie, set up with clever narration (not too much, not too little) by Mahaffey and her gang of mini-fairies, “Stevie and the Sprites,” help to clarify the plot and give commentary on the events of the story as they unfold. The plot of the mechanicals is somewhat downplayed in this version and so is Bottom’s bravado. But the tracking of the lovers’ storyline is quite comprehensive and entertaining. What’s more, it’s well done Shakespeare from the mouths of babes. 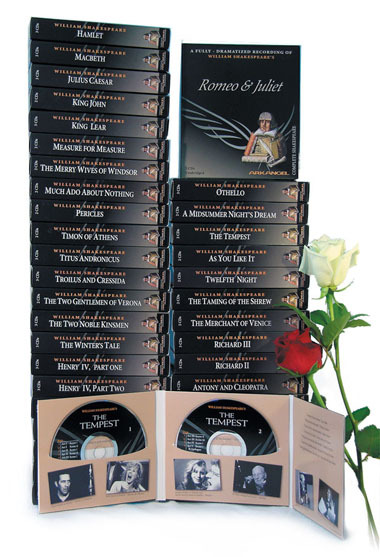 This is truly a great resource for elementary educators of Shakespeare everywhere. Folger Education, with support from the National Endowment for the Humanities, will offer a free webinar on December 7th. Don’t rush out to sign up because within three hours of posting a notice to our BardNotes subscribers all 150 available seats were filled. We were excited by the response and surprised by the speed by which the session filled. What we think this means it that there is a real need for more opportunities for teachers to have access to professional development via the internet. Are we correct in drawing this conclusion? If we are, then what content would you like to see Folger Education develop for future webinars?